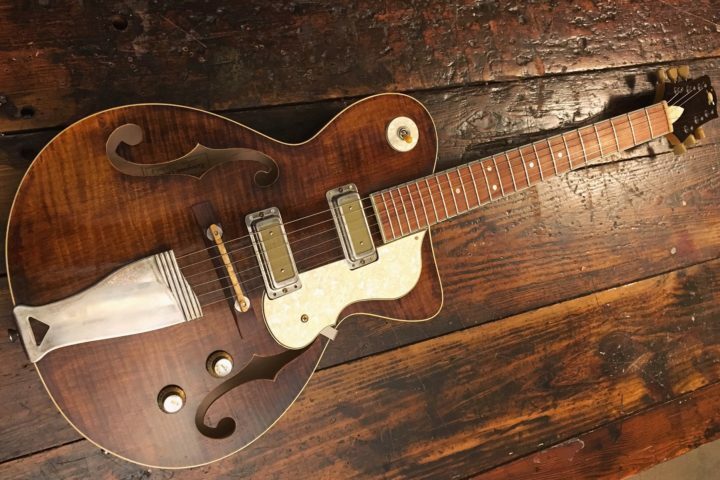 Today’s Catch is a doozie of a dazzler, a catch in and of itself, as a musical instrument, as well as a rare, collectible artifact. 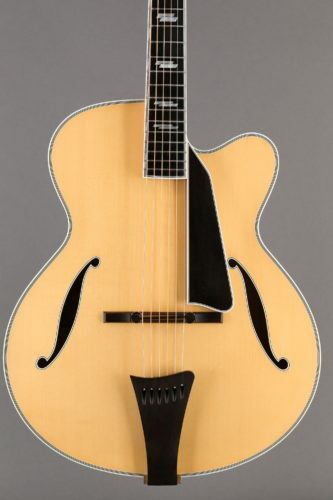 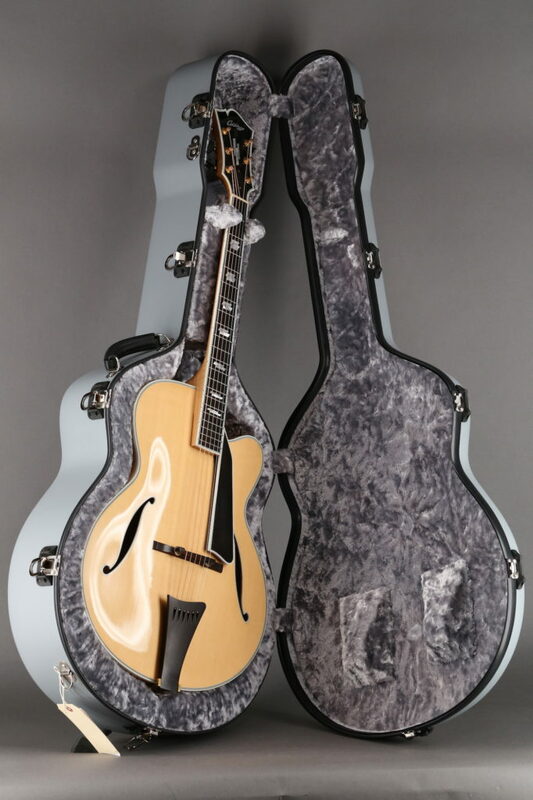 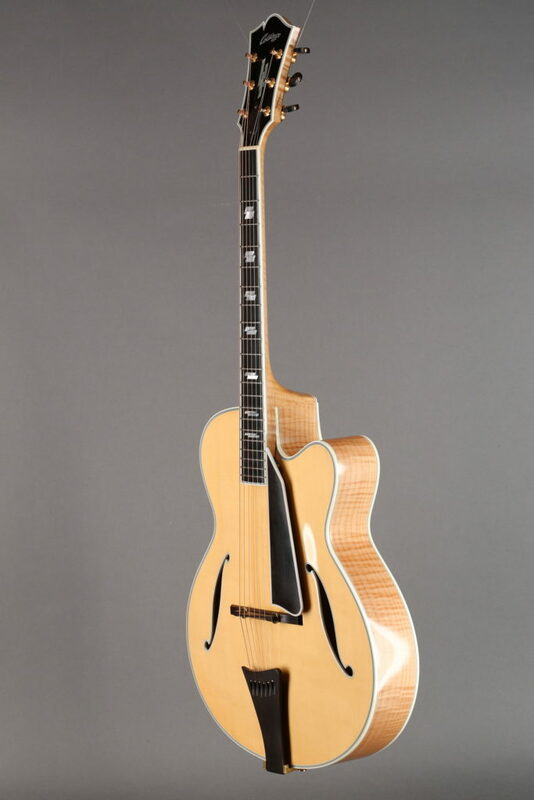 What we got here is a 1993 Collings AT-17 that we spotted over at Gryphon Stringed Instruments, one of the rare 17″ archtops built pretty much entirely by Bill Collings himself, completed far less frequently than the already infrequent AT-16s. 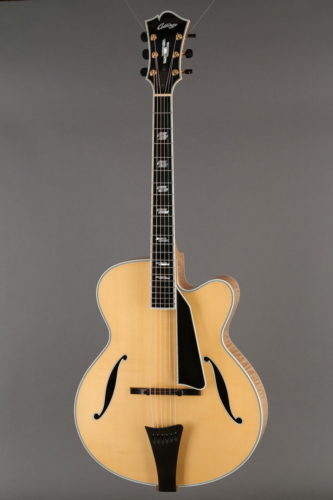 It actually pre-dates Collings record-keeping; according to the company it’s one of only two or three that were built before they started keeping detailed records in 1995. 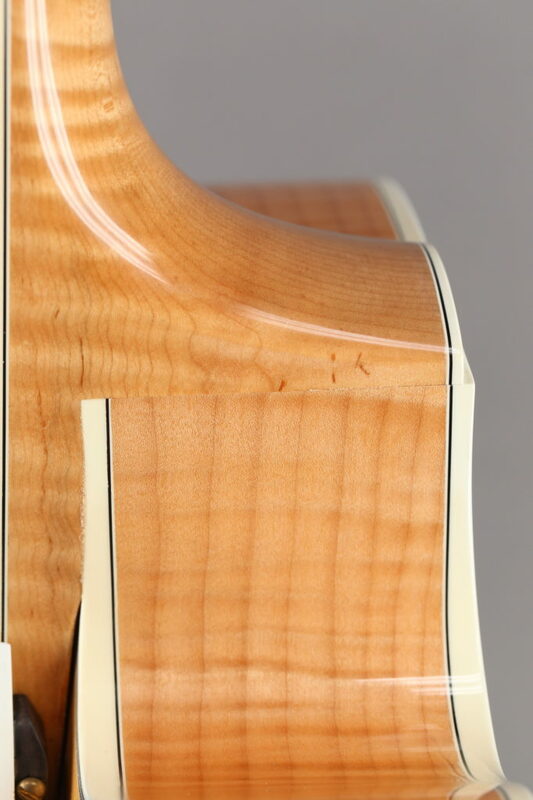 It’s a full-bodied, European spruce and Big Leaf maple, natural-finished beast (with a cutaway), the likes of which Bill basically stopped building more than a decade ago. 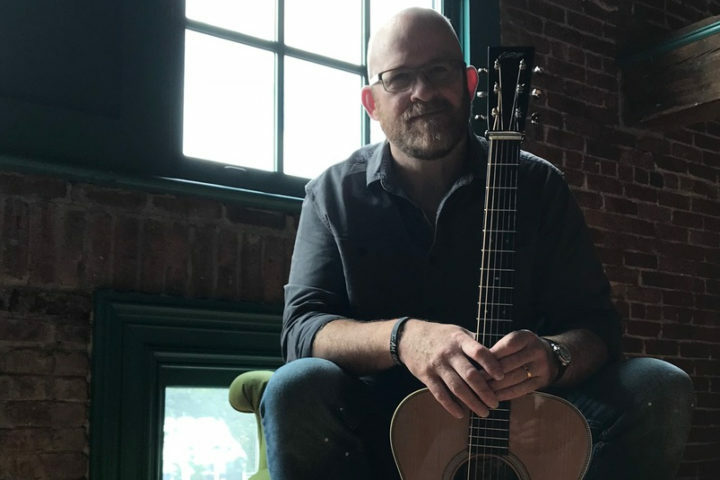 This is an excellent example of why we, and other Collings dealers, kept clamoring for AT-17 models, as it has everything you want in an acoustic archtop: clarity, balance, and if you need volume it’s there, almost without asking. There are a couple of light dings in the finish on the top, below the treble side of the bridge but above the tailpiece. 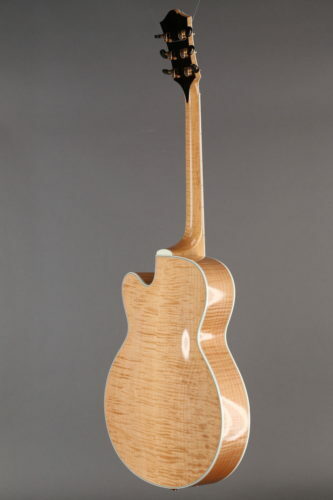 The thin lacquer finish has settled nicely into the grain of both the spruce and the maple, giving it a lovely patina. 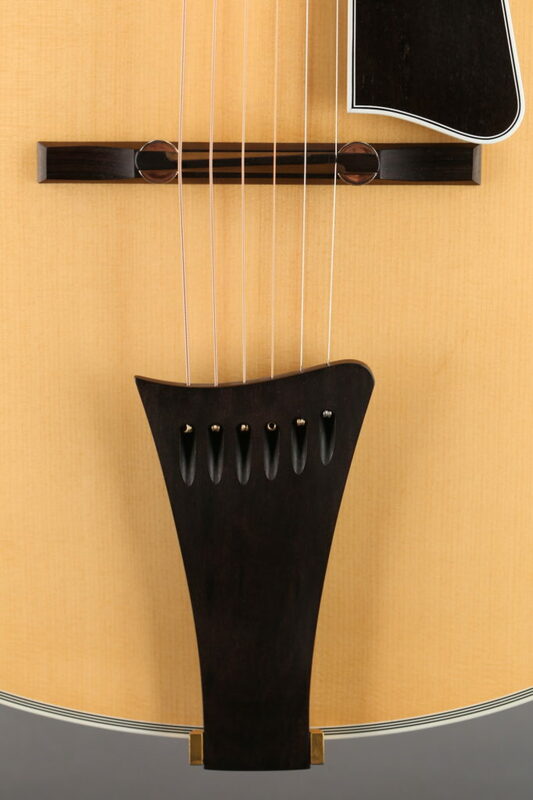 Everything is original including the frets, which have only minor wear. 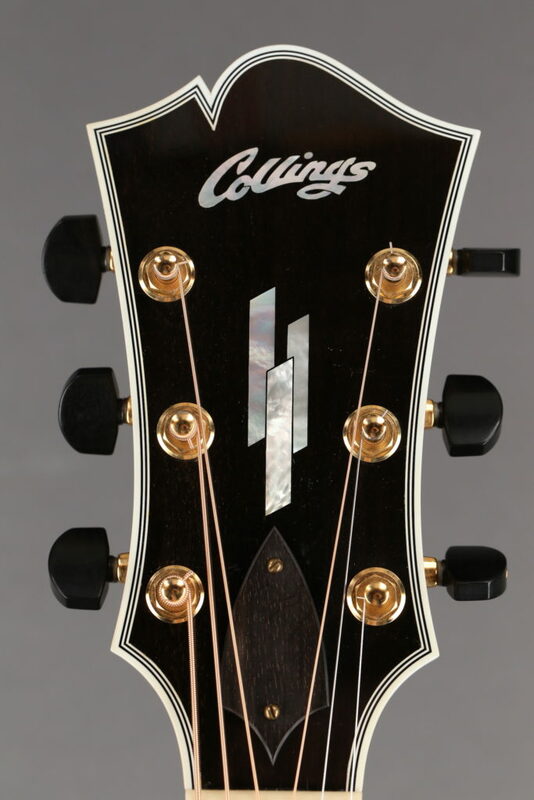 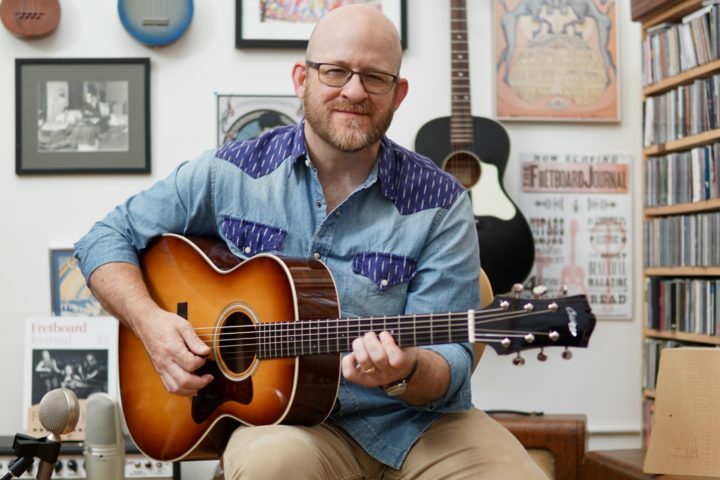 It bears some of the touches that became Collings trademarks – most notably the haircut headstock and parallelogram inlays – and is priced at $21,000 with two hardshell cases (the original TKL and a Calton), but Gryphon has some thoughts about discounts if only one case is wanted (though they strongly recommend the Calton if the guitar is being shipped).